The KOFFIA 2012 Panorama Section includes films such as (from left to right) War of the Arrows (2011), Sunny (2011), The Taste of Money (2012), and In Another Country (2012). As well as The Frontline, Late Blossom, and The Day He Arrives. The Korean Film Festival in Australia returns with its third edition, bringing more Korean cinematic goodness to the Aussies and cinephiles living in the country! Running in Sydney from August 22nd-28th, in Melbourne from September 8th-12th, and in Brisbane from September 27th-30th, KOFFIA 2012 will be the place to attend for the latest in Korean film. Showcasing 20 of the best and latest Korean feature films as well as a few past classics, in a diverse program that will allow audiences to discover their connection to Korean cinema and culture, KOFFIA 2012 will treat its audience to a feast of Korean festivities taking place at Dendy Opera Quays in Sydney and ACMI Cinemas Federation Square in Melbourne. For the first time selected titles will also screen at Tribal Theatre in Brisbane, as August and September sees 16 days of screenings across the Australian east coast. 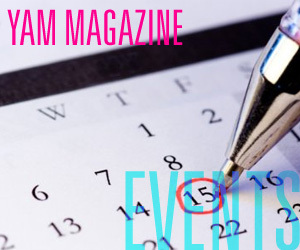 And we’re ecstatic to announce that YAM Magazine is a media partner of the event!